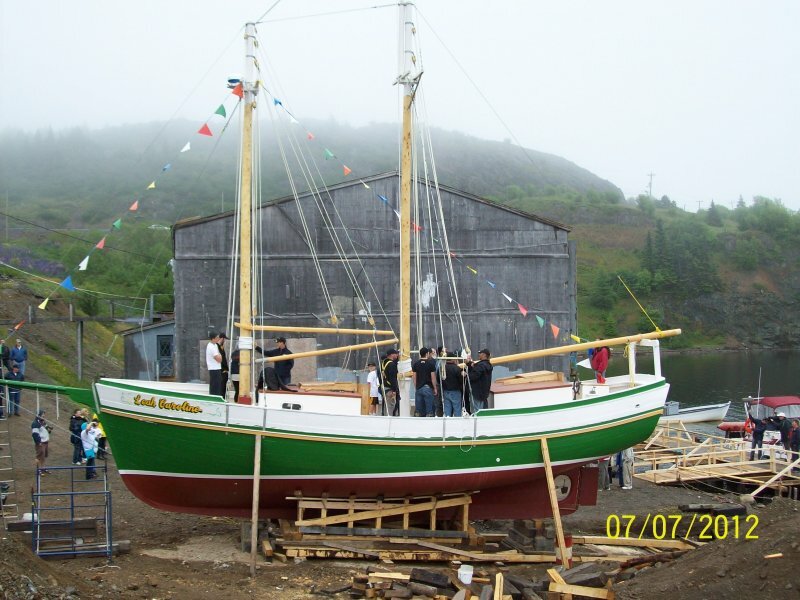 The handsom new 44 ft schooner LEAH CAROLINE launched at Trinity, Newfoundland July 7 2012. The latest of many vessels large and small built by 86 year old shipbuilder Henry Vokey of that town. Hundreds of onlookers waited for hours in the rain for the big splashdown.